Home > Uncategorized > Make sure you stand out at the Global Careers Fair! Make sure you stand out at the Global Careers Fair! Want to give yourself a step-up in comparison to other job seekers? You can boost your career with a professional degree! 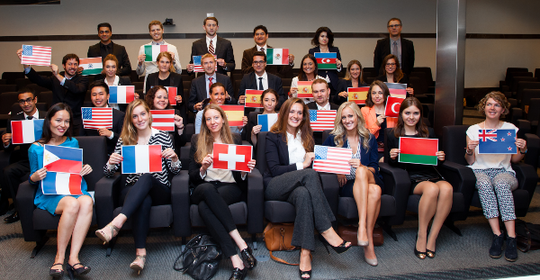 The IE School of International Relations strives for excellence both inside and outside of the classroom. That is why more than 90% of their graduates have gone on to have successful careers in the public, private, and non-profit sectors. If you are looking to give your career an extra boost, their master programs can provide the needed stimulus. Their programs use a multi-sector approach that will prepare you for diverse careers across all related fields of International Relations. Attend the Global Careers Fair to chat with an Admissions Director and see how you can boost your career.